This kit fits the CYMODEL P-47 CY8009B (206cm). The 50cc P-47 from CYMODEL. 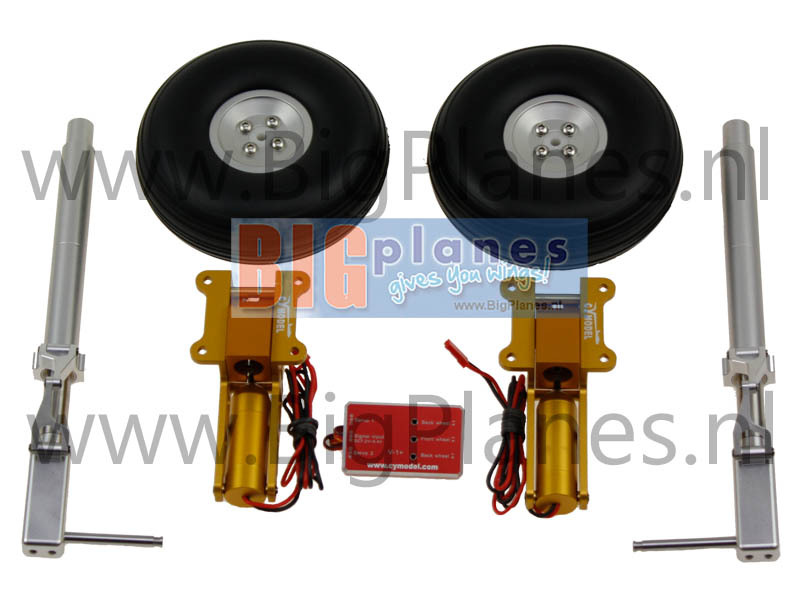 Electric retract system for the CYMODEL P-47 rc model airplane. The high quality retract mechanism and the struts are from CYMODEL. The kit includes retract units, struts and wheels with aluminum hubs. Keep the drive screw lubricated with oil.